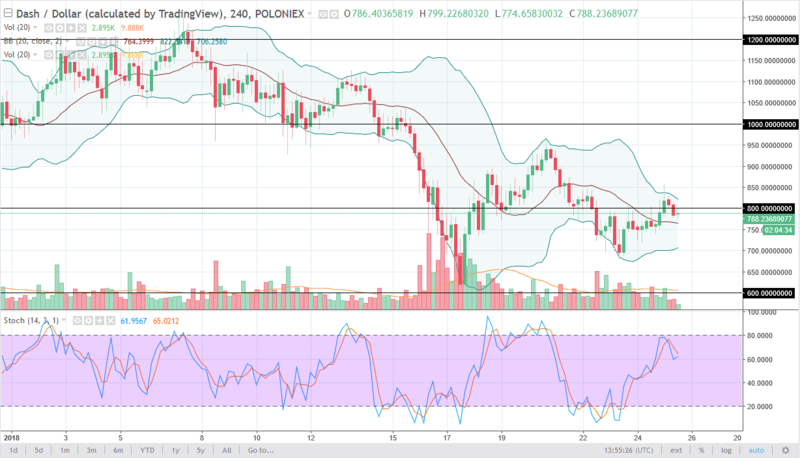 DASH traders offered little in the way of volume during the trading session on Thursday, as we danced around the $800 level. I believe that the market is going to continue to go back and forth between $750 level underneath, and $850 above. There is a serious lack of volume, so I suspect that if we do get a significant move, it is probably going to be to the downside. 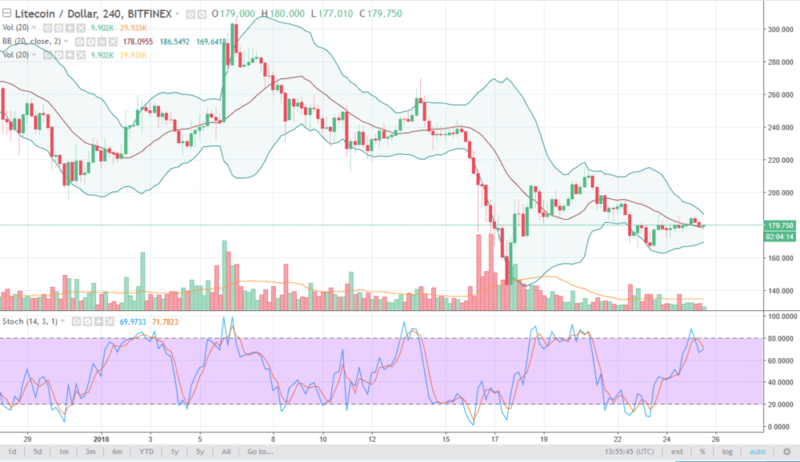 Litecoin has done nothing during the session on Thursday, as we continue to see the market hang around the $180 handle. The $160 level underneath would be the “floor” in the market, just as the $200 level above is the “ceiling.” Sideways trading should continue to be the main feature here. Thanks for watching, I’ll be back Monday.